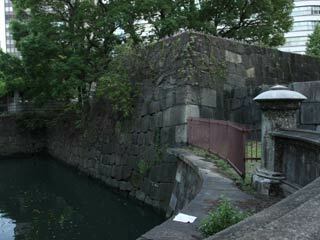 Tokiwabashi (常盤橋) is the ruins of the main gate of outer bailey of Edo Castle. It is Masugata gate style with the bridge. The bridge and the name of the gate was named by the friends of Naraya Ichiemon in the time of Tokugawa Iemitsu. Current bridge is built in 1877 and one of the oldest western style bridge in Japan. The stones of the gate is also remains since Edo Period.